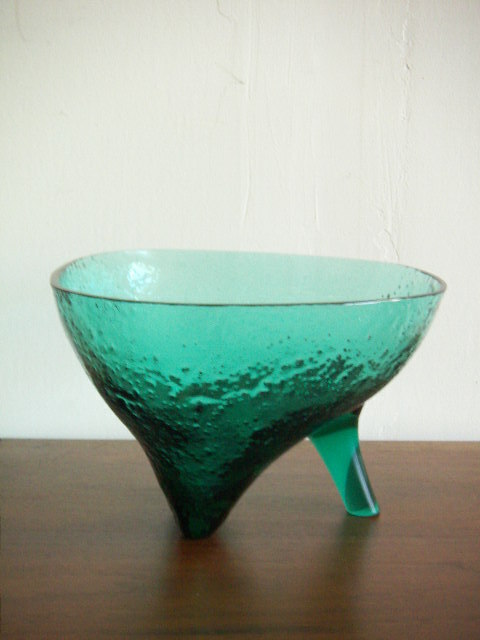 Rare Wayne Husted Blenko High Heel Bowl. Excellent condition. The original name of this piece was “Asymtrical Sculptural Form”. One of Wayne Husteds most adventurous designs. Very hard to find.